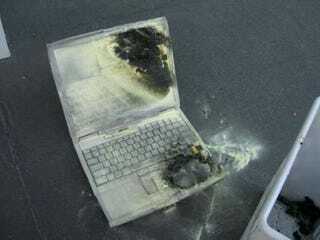 The problem with the lithium ion batteries powering your iPods and notebooks is that they can be a mite explode-y. But German scientists at Fraunhofer Institute for Silicate Research have figured out how to replace the liquid electrolyte ka-bloom goo with a non-flammable polymer, which, on top of not blowing up, is a solid material, so it can't leak either. But, there are two big catches.